Stainless steel insulated water bottles are commonplace today and have largely taken over from the glass vacuum flasks - the latter are just too delicate, especially for camping and hillwalking. And while the steel bottles are good are keeping stuff warm, the liquid has to be hot in the first place....or does it? 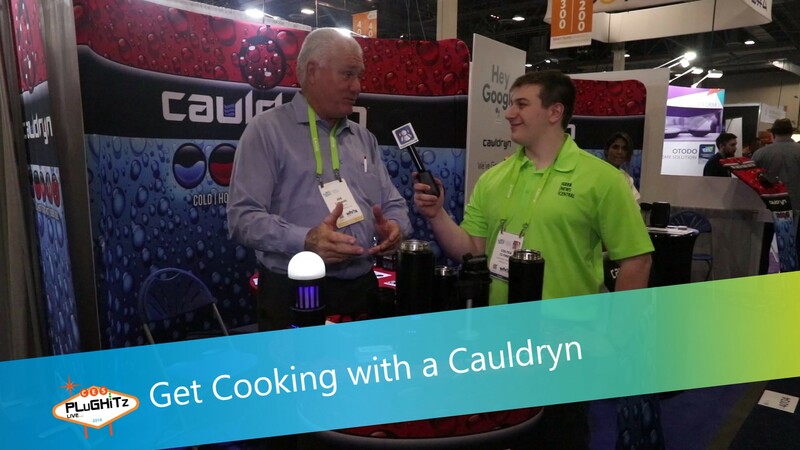 Cauldryn Fyre bottles have a built-in heating element which not only keeps liquids warm, it can actually boil water. Colten and Joe have a quick Americano. The Cauldryn Fyre water bottles feature a modular design, offering a 16-ounce, stainless steel, vacuum insulated bottle with the revolutionary Fyre heating element. The standard Cauldryn Fire is powered from AC but the Fyre Mobile features a rechargeable battery to heat the liquid and keep it hot all day. The mobile base has a couple of USB charging sockets too. There's a DC base available for heating from 12V / 24V. The Cauldryn Fire system is modular. Want a smoothie? There's a blender attachment. Need a light? Snap in the rechargeable battery. It's even got integration with Google Assistant. Seriously, I want one of these. The Cauldryn Fire is shipping now. The standard Fyre is $69.99, Fyre Mobile is $129.99 and additional battery units are $69.99. DC base $9.99. Interview by Colten Clymer of Geek News Central.